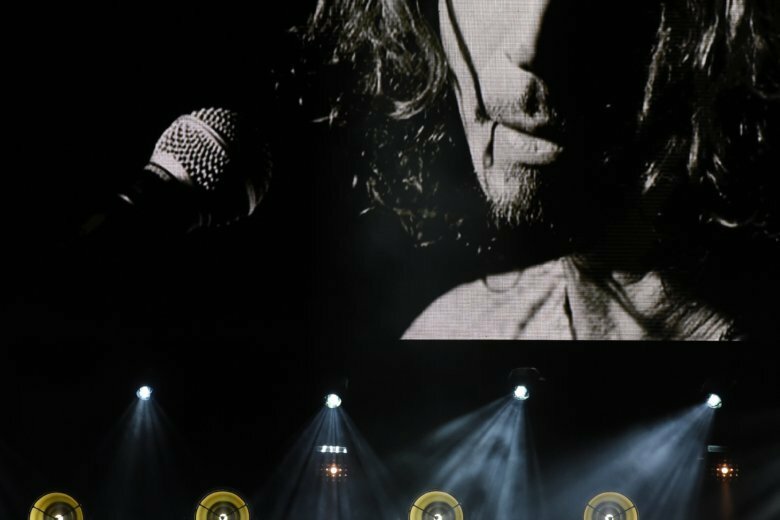 Many from Metallica and the Foo Fighters rocked on with electrifying performances as family members gave heartfelt speeches in memory of the late Chris Cornell. Cornell’s wife, Vicky, stepped onstage struggling to speak at first. But after gathering herself, she eventually thanked everyone for their support and spoke about her husband’s legacy at his tribute concert called “I Am the Highway: A Tribute to Chris Cornell” on Wednesday night at the Forum in Inglewood, California. “Chris lives on, a music immortal whose passion for helping others is alive today ever,” said Vicky Cornell, who was brought on stage by actor Josh Brolin. The concert helped raise funds for the Chris and Vicky Cornell Foundation and the Epidermolysis Bullosa Medical Research Foundation. Jimmy Kimmel hosted most of the five-hour tribute concert that took the sold-out crowd through Cornell’s career and catalog, with performances by members of his former bands Soundgarden and Audioslave. The all-star lineup also included Miley Cyrus, Adam Levine, Brandi Carlile, Miguel, Chris Stapleton, Ryan Adams and Temple of the Dog. “We miss you, Chris,” said Cyrus, who performed “Two Drink Minimum” then later “Say Hello 2 Heaven,” a Temple of the Dog song that was written by Cornell. She wore a jacket bearing a picture of Cornell on it. “I’m honored to be here tonight,” she said. Brad Pitt introduced Cornell’s daughter, Toni Cornell, who sang while Ziggy Marley played the guitar as they performed his father’s song “Redemption Song.” The singer’s other daughter Lily Cornell Silver said her father had a “beautiful gift” as a musician. “The most influential advice he gave me was that his success didn’t come from a desire to have success. It was born from a passion and a love for what he did,” she said. This story corrects spelling of ‘Vicky’ throughout.